Fall is a great time for cooking, point blank. 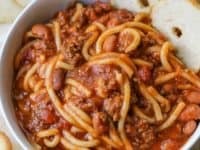 There are just so many warm and hearty things you can make! Usually we tend to rely on the comfort of fall soups, but every once in a while we feel like eating something a little more hearty and that’s when we remember just how many delicious fall chilli recipes there are out there. 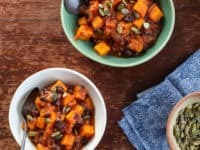 Just in case you love the idea of making a hearty and flavourful fall chilli or two this autumn as much as we do, if not more, here are 15 of the very best and most unique recipes that we’ve bookmarked this season so far! 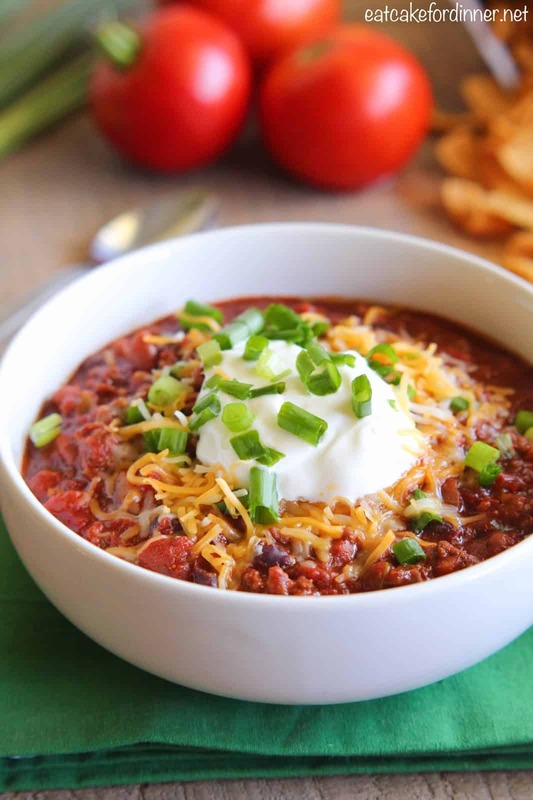 Sure, classic chilli is mostly meat, sauce, tomatoes, and beans, and we love the traditional recipes a whole lot, but that doesn’t mean it’s not fun to put an exciting spin on something we’re used to every once in a while. 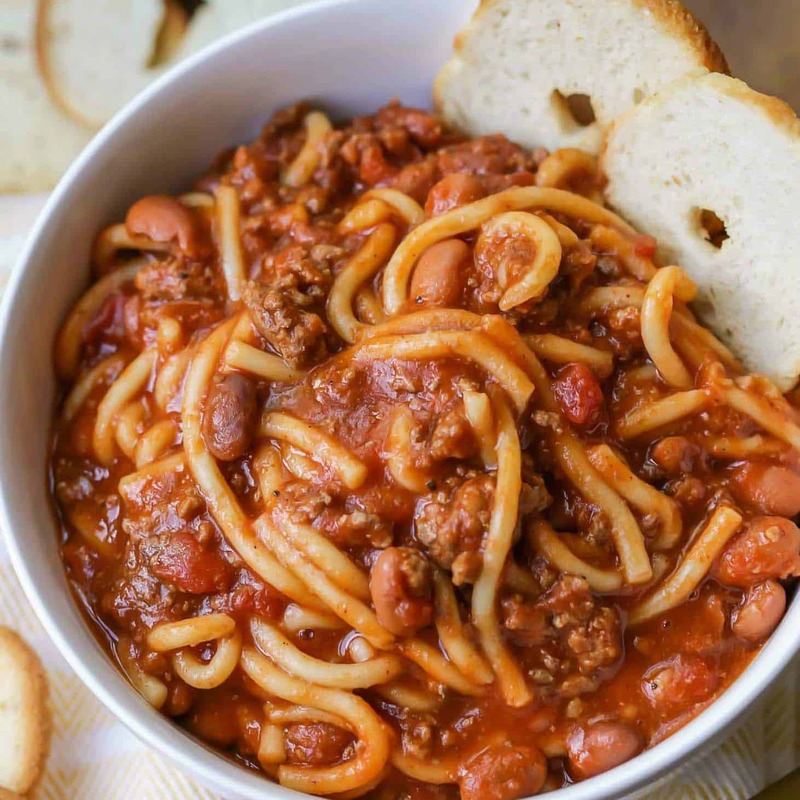 That’s why we thought this chilli spaghetti idea from Lil’ Luna was such a good idea! 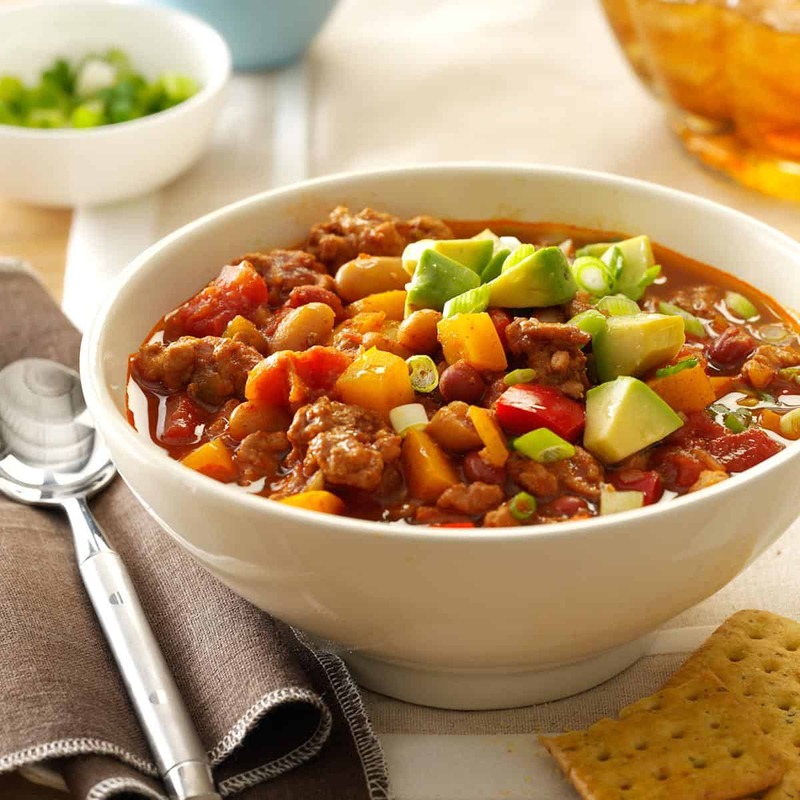 Have you always sort of wondered whether there might be a chilli recipe out there that’s even more hearty and satisfying than usual? Well, if you’re more of a chunky steak person, then we’d definitely suggest taking a look at how The Wicked Noodle made this wildly flavourful steak and poblano chilli with a delicious lime garnish! When it comes to a particular spice blend and texture, few places have as distinct a recipe and cooking technique as Texas. 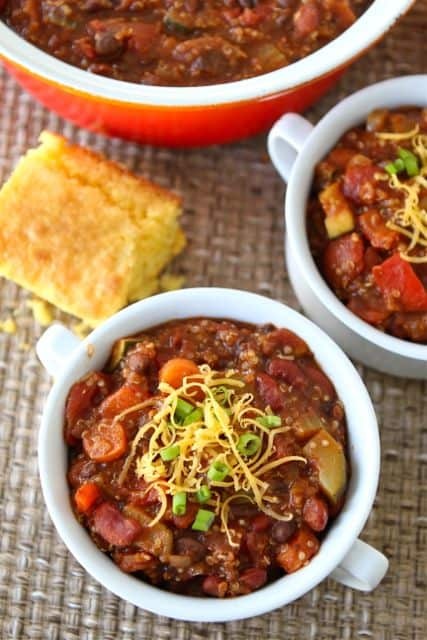 There’s just something about this kind of recipe that tastes wholesome and hearty down to the last bite! 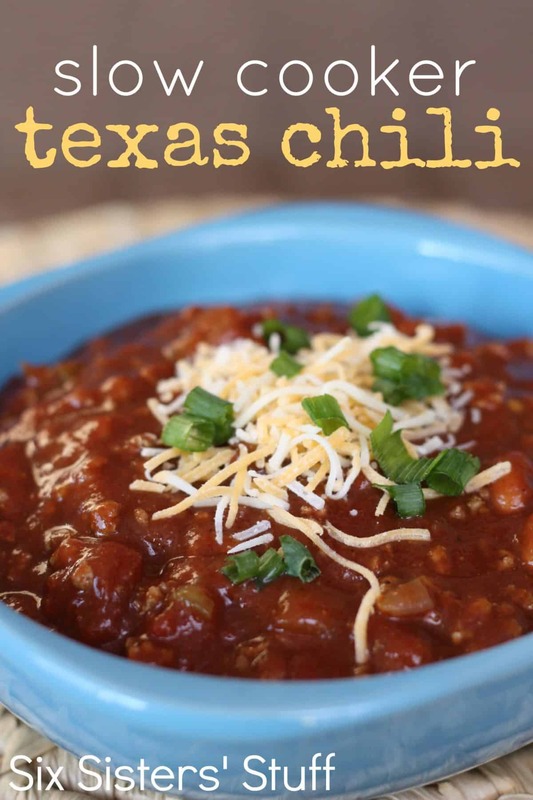 That’s why we love this slow cooker Texas chilli from Six Sisters Stuff so much. 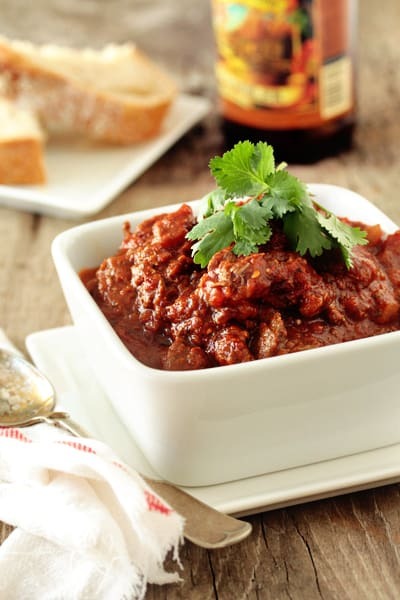 What if you’ve always loved the idea of chilli, and maybe even appreciated the smell, spice blend, and other ingredients, but you’ve just never been a fan of the meat most people use to make it? 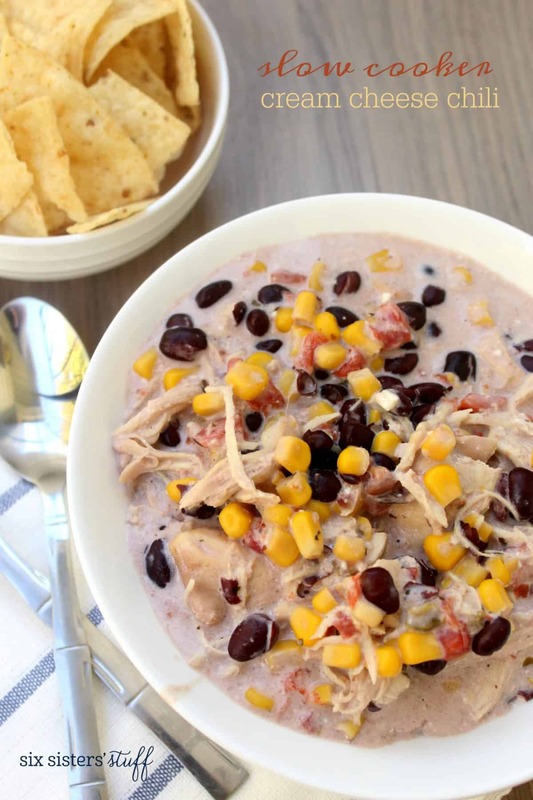 Then we have a feeling you might get along a little better with something like this delicious slow cooker chicken chilli recipe from I Heart Naptime instead! 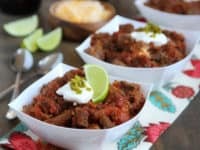 Now, we’ve talked a whole lot about meat based chilli recipes because that’s the standard but, believe it or not, you can make a kind of chilli that’s a little more friendly to your vegetarian pals! This fragrant and completely scrumptious vegetarian quinoa chilli, outlined step by step on Two Peas and Their Pod, is the perfect example of what we mean. Have you actually been scrolling through our list and wondering whether there might be a recipe out there for you that’s a little lighter in taste, and maybe even a little lighter in the calorie department too? 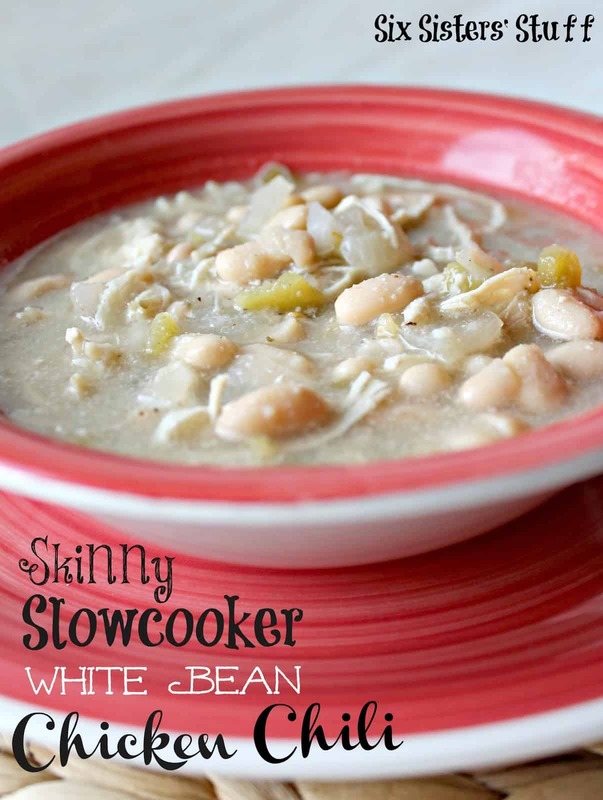 In that case, we’d absolutely suggest taking a look at how Six Sisters Stuff created this fantastic “skinny” slow cooker white bean chicken chilli as an alternative to the dark beef recipes you’d usually find! 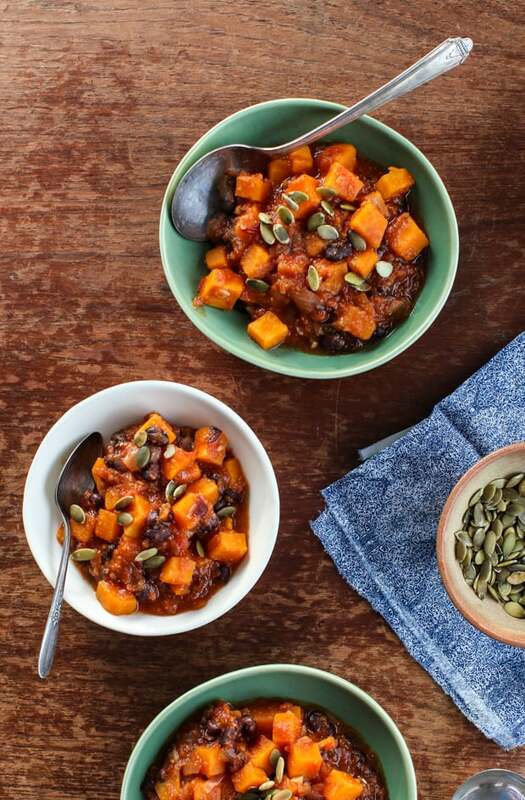 Perhaps you’re totally okay with the meat and spice content you’ve been seeing, but you can’t help but wonder whether there’s an even more fall appropriate recipe out there than just regular old chilli, just to really get you in the autumn spirit? 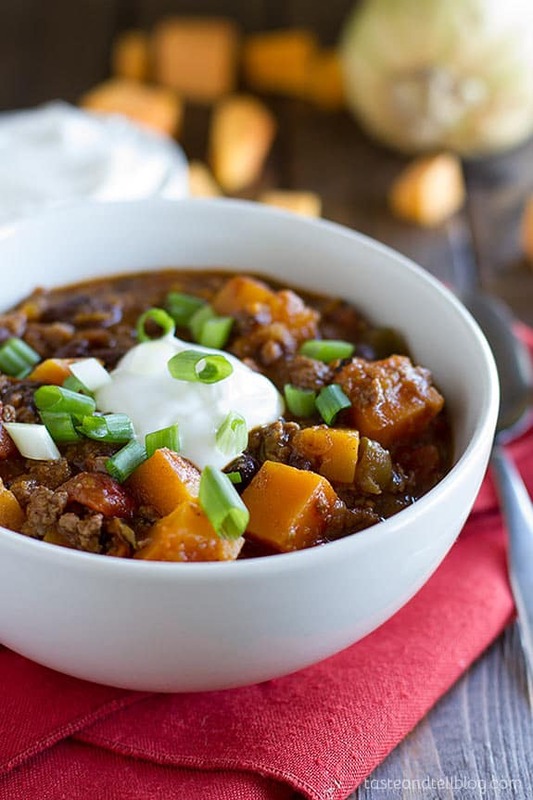 In that case, we’d absolutely suggest taking a look at how Taste and Tell added delicious, satisfying chunks of butternut squash to their beef chilli! 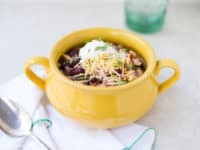 What if you’re actually still on the hunt for a vegetarian chilli recipe because the one you saw before, though tempting, had a little too much texture for your friends’ tastes thanks to the quinoa? 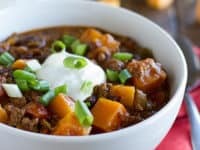 In that case, we’d definitely encourage you to take a look at how Simple Bites made this sweet potato black bean chilli that tastes like fall in a warm bowl. 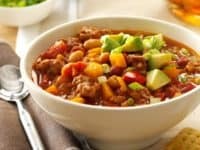 Are you actually the kind of meat lover who would rather change up the kinds of meat you’re putting into your chilli, rather than just playing with the vegetables you’re working with? 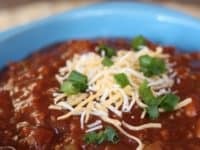 Then we think you just might be the perfect person to take a look at how My Baking Addiction made this irresistible tasting prime rib chilli that looks like something you’d find in a nice restaurant! 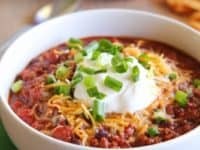 Calorie content be damned; what if you’re just looking for a chilli recipe that’s straight up delicious, totally comforting to eat, and completely different than the classic recipe you were brought up on? 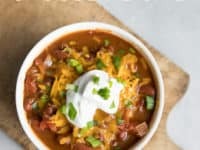 In that case, we have a feeling this fantastic tasting slow cooker cream cheese chilli, outlined step by step on Six Sisters Stuff, might be right up your alley. We know people who will tell you that the tomatoes included in the average chilli recipe are actually their least favourite part, but that’s something we’ll never quite understand because we think we might actually love the taste of the tomatoes the most! Check out how Eat Cake for Dinner made the perfect recipe for tomato lovers by outlining their fresh garden tomato chilli for all to enjoy! Just in case you’re still scrolling through the list thinking about your options for swapping up the meat content, here’s another mouthwatering alternative for your consideration! 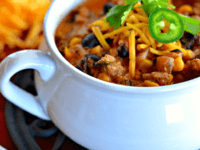 Check out how High Heels and Grills made a chilli recipe that’s almost the classic, except for the part where they actually used turkey instead of beef. Has your favourite part of the chilli you make actually always been the little bit of spice you put in it? 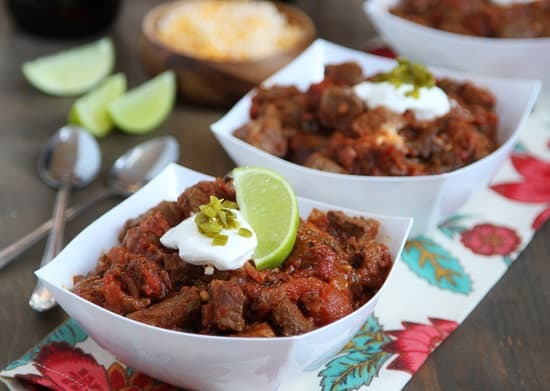 Well, we can totally understand loving a chilli that has a little bit of a kick, but have you ever thought of putting an interesting twist on the idea that will actually complement the spice in a surprising way? 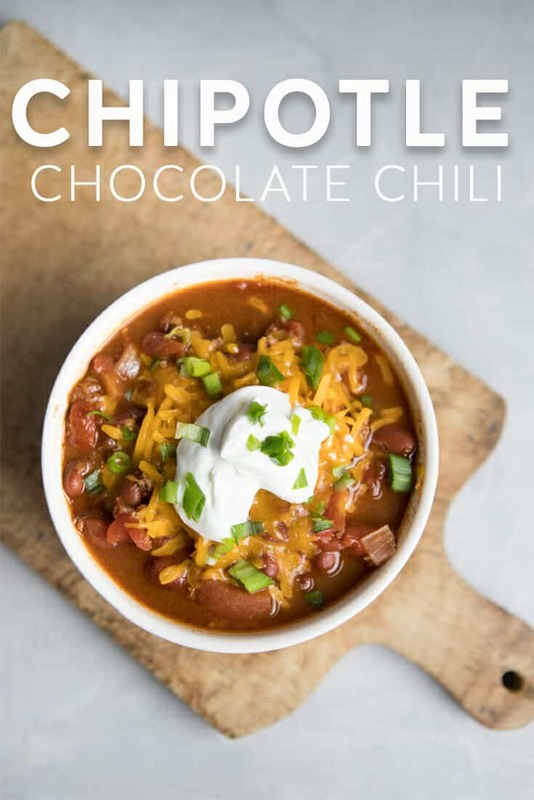 Check out this amazing chipotle chocolate chilli from Our Best Bites to see what we mean! 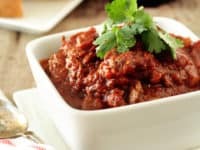 Have we really caught your attention with the idea of making a chicken chilli but you’re also kind of interested in the idea of playing with texture and consistency, just because you’re feeling adventurous? 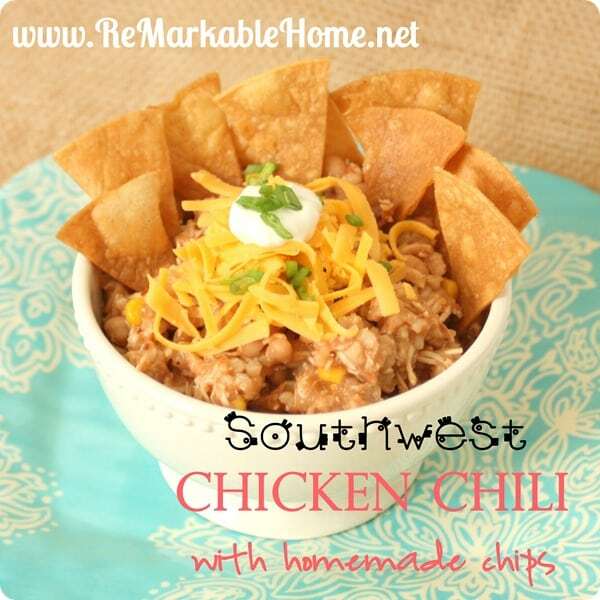 In that case, we’d definitely suggest taking a look at how Remarkable Home made this southwest chicken chilli that’s a little thicket, creating more of a chunky dip. We adore the fact that they also give you a recipe for homemade chips to enjoy the chilli on! Are you actually reaching the end of this list feeling torn because you can’t decide between making one of the really spicy recipes we showed you and making the turkey version you saw a little earlier on? Then we have a feeling you’ll be very pleased indeed to learn that you don’t actually need to choose! 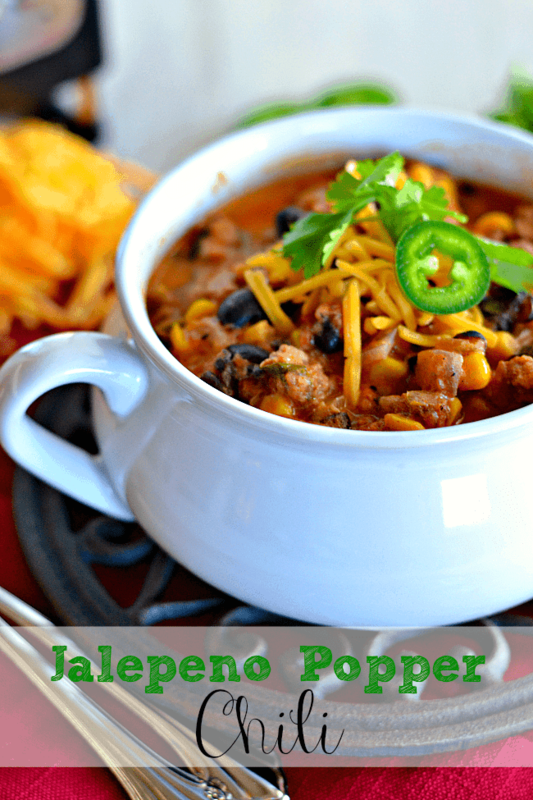 Take a look at how Kitchen Meets Girl made a fantastic jalapeno popper inspired chilli recipe that uses turkey as its main ingredient. 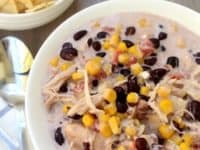 The post A Bit of Heat: Delicious Homemade Chilli Recipes for Fall! appeared first on WonderfulDIY.